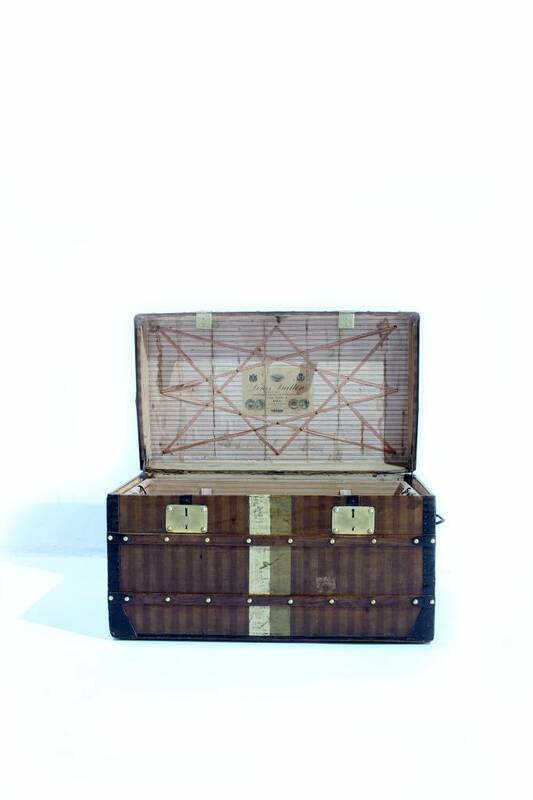 This unique case was produced between 1876 and 1888. 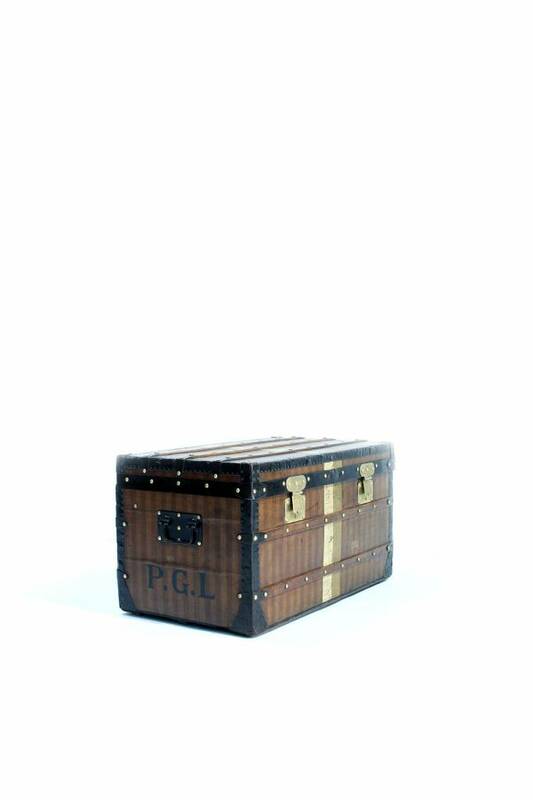 This case is at least 130 years old. 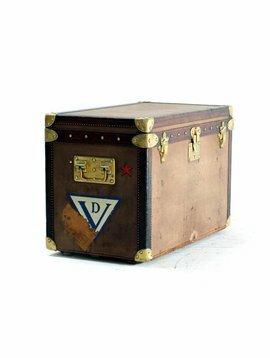 Are you looking for a real antique piece with a story? 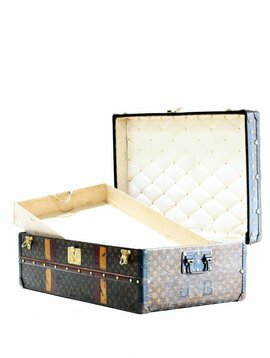 This Louis Vuitton suitcase (also called steamer trunk) has the striped "rayée" canvas. 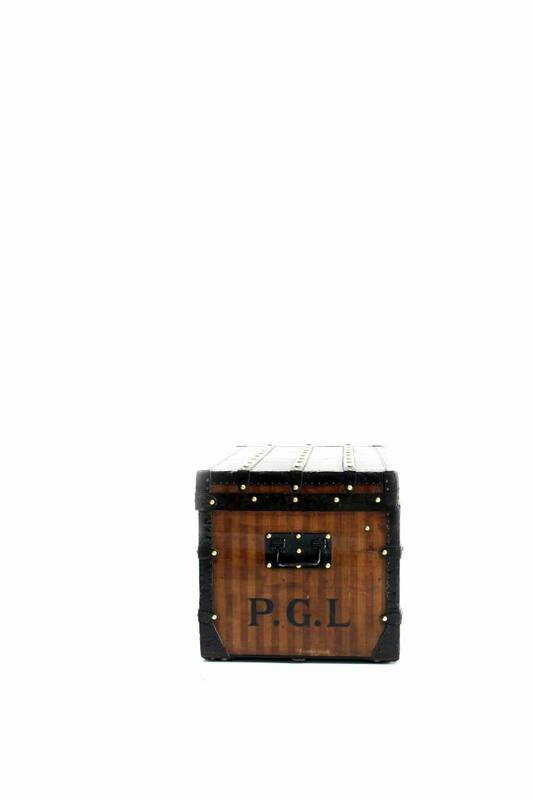 Truely top of the line. 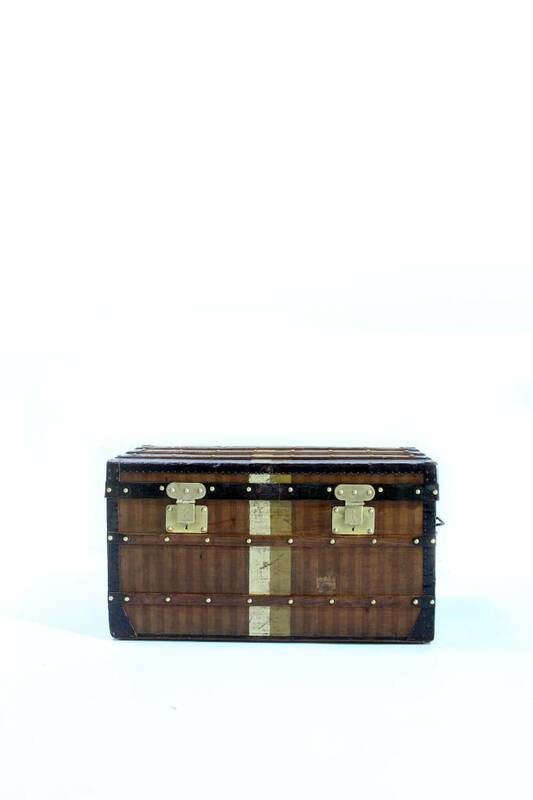 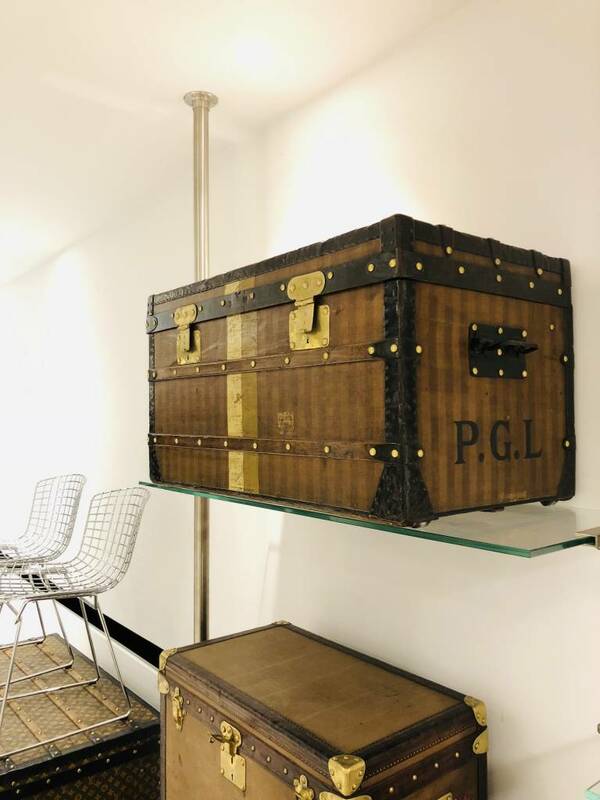 This steamer trunk was produced between 1876 and 1888 so it is at least a 130 years old. 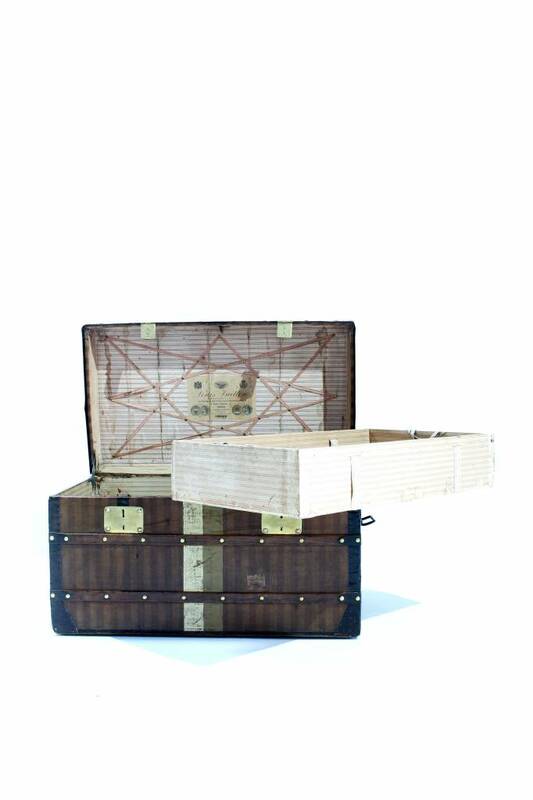 Both inside & outside are in very good condition given the age. 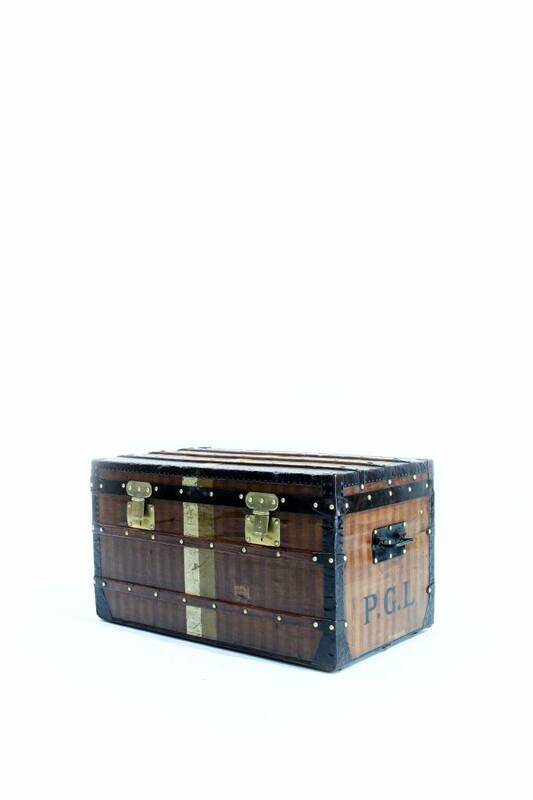 The case has a beautiful brass and metal hardware. 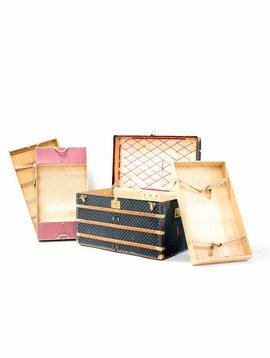 This rayée or striped Louis Vuitton case leaves a luxurious impression in every home. 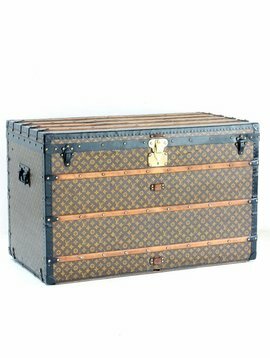 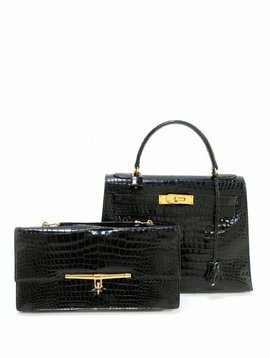 This special version was originally produced by Louis Vuitton to protect his work against imitation. 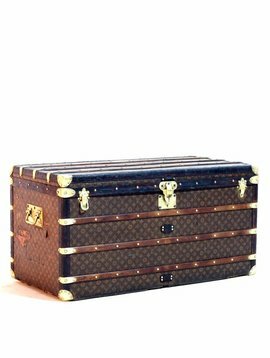 Also the original locks like this case were not decorated with LV because there was not yet a trademark company.